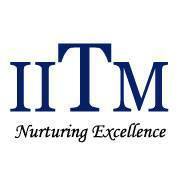 The eligibility criteria for getting a seat in Institute of Information Technology & Management is min 60% in 12th grade. For admission, one should appear for the common entrance test which isorganisedd by the main university i.e. IP(INDRAPRASTHA UNIVERSITY). The minimum cutoff is about 50-55%. Candidate should have passed in (10+2) or Equivalent with Physics, Mathematics, Chemistry/Biotechnology, Language and anyother subject. He/She should have scored a minimum of 45% marks. All reserved category students have a 5% relaxation in minimum aggregate.